Some like Desmond Tutu have human greatness. Some like @pmharper will never have it. 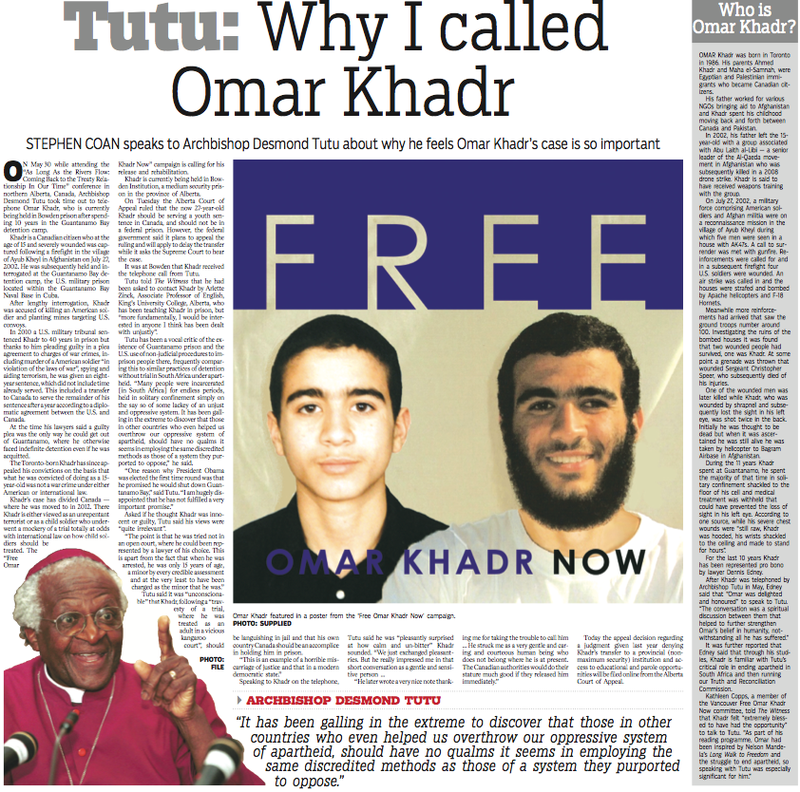 I am so happy for Omar #Khadr that the great man phoned him. He will never forget that phone call and it will make him stronger and a better person. He’ll get his High School leaving certificate soon. Maybe he’ll even graduate from university before he finally can start his life anew. It would be beautiful and my good wishes are always with Omar. I think he is destined for great achievements. Omar is strong and he will survive the meanness and pettiness of @pmharper and the dinosaurs around him. And all that apparently without bitterness. What a wonderful young man!